Posted on Wednesday, August 3rd, 2011 at 5:00 am. Subscribe to the comments feed. Both comments and pings are currently closed. Post on your own blog. Gosh, thanks…. Anything I missed? 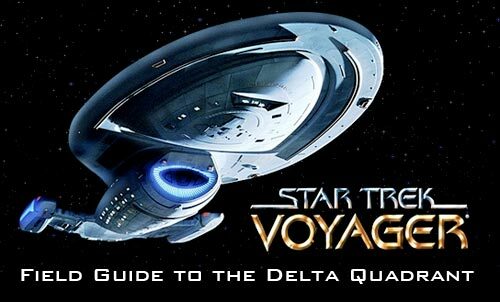 It’s been a long, long time since I saw Voyager. Better hairclips for Janeway? Zing! My youngest daughter watched an episode with me and said “This looks really old!” and I told it takes place in the future, but she wouldn’t buy that argument. Now, I am not against all holo technology – no sir! The EMH is a great use of holo-technology. He is constantly re-capturing the ship single handed, or with only a little help, every few episodes as well. Larry, you’ve nailed it. Also, there should be an Emergency Security Hologram.